The recall involves Nutrisca Chicken and Chickpea Dry Dog Food and Natural Life Chicken and Potato Dry Dog Food. 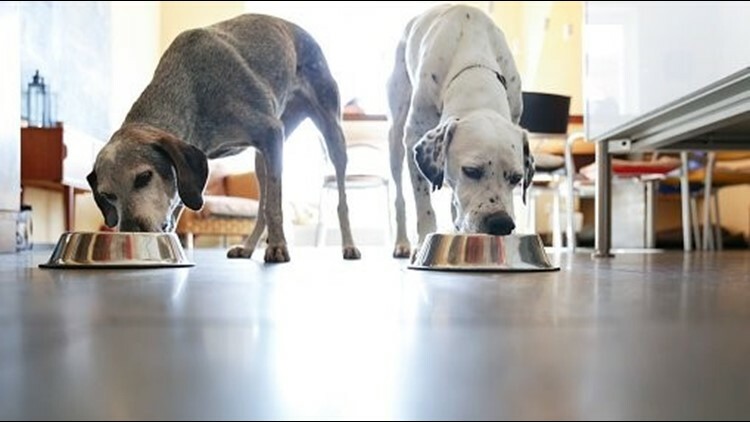 Two brands of dry dog food have been recalled due to concerning elevated levels of Vitamin D, according to the U.S. Food and Drug Administration. The recalls were issued on November 2 and involve Nutrisca Chicken and Chickpea Dry Dog Food and Natural Life Chicken and Potato Dry Dog Food. Nutrisca and Natural Life both voluntarily recalled their products. The companies say they received three complaints from pet owners about Vitamin D toxicity after their dogs ate the food. They investigated and found that a formulation error led to the elevated Vitamin D levels. The FDA says dogs that ingest high levels of Vitamin D may show symptoms such as vomiting, loss of appetite, increased thirst, increased urination, excessive drooling, and weight loss. Vitamin D toxicity can lead to serious health issues in dogs including renal dysfunction. Natural Life bags that are affected by the recall have a best by date code of May 29, 2020 through August 10, 2020. Nutrisca bags that are affected have a best by date code of February 25, 2020 through September 13, 2020. Consumers should return the products for a full refund, or contact Nutrisca or Natural Life at 888-279-9420 for further questions.